One of my earliest railway photographs, taken with a Praktica PLC2, which explains the mediocre quality. 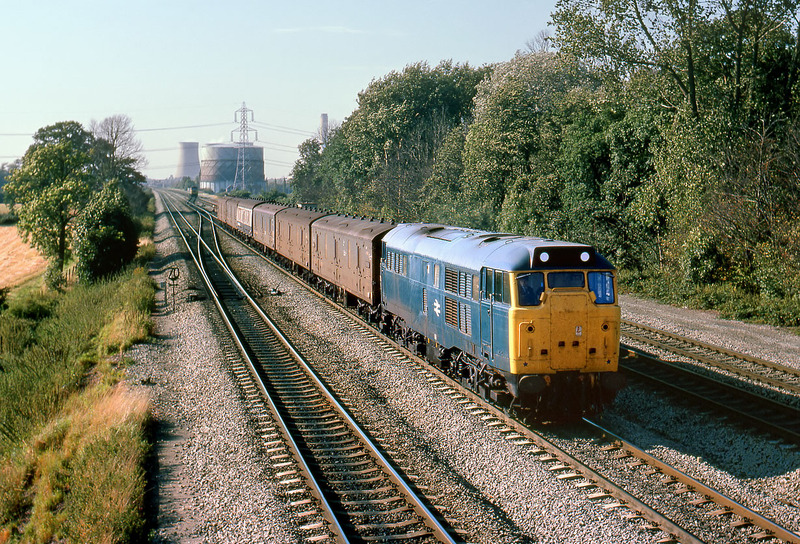 31259 passes South Moreton (Didcot East) on 16 September 1978 with the 3A03 12:50 Swansea to Paddington premium parcels service, running exactly to time. This is hardly surprising, given the train's easy schedule, and light load.